A test flight by a civilian plane landed on an island in the South China Sea, the Chinese Foreign Ministry said. It’s the first time the country has done so in the disputed Spratly Islands. Tensions are now high with neighboring Vietnam and the Philippines. Foreign Ministry spokeswoman Hua Chunying said at the weekend the test flight of a non-military aircraft was intended to check if the runway meets civilian aviation standards and fell “completely within China's sovereignty,” according to Reuters. 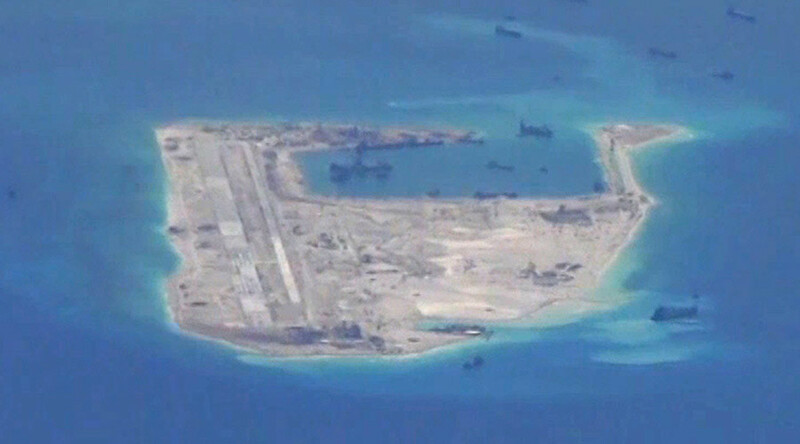 The runway is at the Chinese-administered Fiery Cross Reef, where Beijing has built an artificial island in the middle of the South China Sea. However, Vietnam, Taiwan and the Philippines also lay claim to the area. The runway is 3,000 meters (about 10,000 feet) long and is thought to be capable of serving long-range planes, including transport craft, bombers and fighter jets. "That's the fear, that China will be able take control of the South China Sea and it will affect freedom of navigation and freedom of overflight," the Philippines Foreign Ministry spokesman Charles Jose told reporters on Monday. Both Vietnam and the Philippines have delivered formal diplomatic protests condemning China’s actions, Reuters reports. The Spratly Islands (better known as the Spratlys) comprise more than 750 reefs, atolls and islands, and lie at the heart of economically important shipping lanes in the South China Sea. The archipelago also offers rich fishing grounds, along with possible oil and natural gas deposits, which explain the territorial claims by neighboring countries. The Spratlys lie off the coastlines of Vietnam, the Philippines, Taiwan, Malaysia, Brunei and China, with all claimants having their national names for the islands. China has been building artificial islands on reefs in the Spratlys, while Washington accuses Beijing of using the islands to ensure Chinese control over the area. Western military experts also believe China is nurturing plans to introduce a so-called Air Defense Identification Zone (ADIZ) around the islands, requiring foreign aircraft to request permission to pass through. Chinese officials have repeatedly said the new islands would be mostly for civilian use, such as coast guard operations and fishing research. Over the past years, Washington has been keen to team up with regional allies to test China’s response, including fly-bys by B-52 strategic bombers near the islands, along with many US-led naval drills. In December, Singapore allowed US P-8 Poseidon spy aircraft to use its territory for reconnaissance flights over the South China Sea. The US says China’s actions pose a threat to freedom of navigation in the region and denies Beijing’s sovereignty over the islands.